Come see Paris dressed in Sparkling Lights! 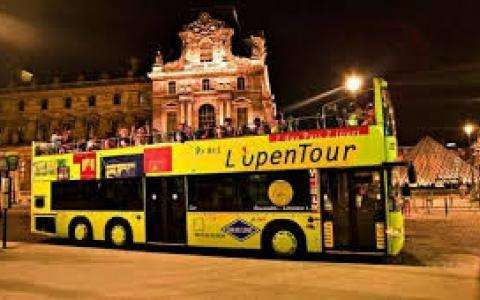 Also, you will enjoy an illumination tour in open top motorcoach during 1 hour and a half. During Christmas, Paris at night is wonderfully illuminated, with colours and lights which give the city a magical and unique atmosphere ! Let yourself be carried by the magic and romance of Paris on our open top double decker buses. A unique tour under the city lights that will get you into the Christmas spirit. * 1.30 hrs visit with registered commentary and personal earphones offered. * A warm drink and a blanket included. * Child rate: from 4 to 11. * Departure of the tour : Agence Paris L'Opentour - 13 rue Auber, 75009 Paris.